SAT/ACT Prep is a class offered outside of the regular school day for juniors and seniors who want extra preparation for the SAT/ACT tests. At St. Pius X our students are continually preparing for this test when they do summer reading, take four years of math, study vocabulary lists, write essays, and read good literature. 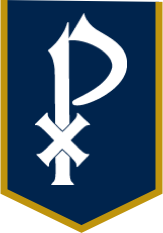 In fact, the best preparation of all for the SAT/ACT is a challenging high school college prep curriculum like the one offered at St. Pius X. However, some students will benefit from some intentional tutoring and practice before taking the SAT or ACT. The SAT/ACT Prep winter course offered to St. Pius X students consists of 5 hours of class for 3 Saturdays. The time will be evenly dedicated to verbal sections and the math sections. The instructors for the class are Mrs. Jan Collier (verbal) and Ms. Dena Peck (math). Instruction is given on strategies for taking the test as well as the actual content of the tests. Students take practice tests every week and have the opportunity to discuss the questions they answered incorrectly. No make-up classes are provided, so students and parents are encouraged to check their calendars in advance of signing up for the class. Please register early to ensure your student place in the class. The cost of the course will be charged to your FACTS account. Shortly after completing the registration, the student (and parent) will see SAT Prep on PowerSchool Learning. It will be on the "extras" tab, which is next to the "classes" tab. No confirmation email will be sent. This class is for SPX students first. However, if there is space available, we do allow students from other schools to attend. Please email Ms. Peck (dpeck@spx.org) to check for availability. **If your schedule conflicts with the dates of the Winter SAT Prep class, you may want to consider the Fall SAT Prep class, which will be held on Saturday, August 10, 17, and 24, 2019. Registration will open in May. Cost (includes the SAT/ACT Prep material): $200.00 if registered on/before December 21, 2018; $225.00 if after December 22, 2018.